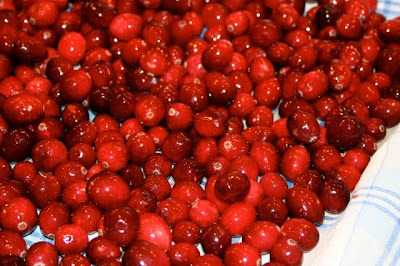 Fresh cranberries are abundant in the grocery stores these days. And for me that means spicy flavorful Indian style pickles. I love Indian spices and flavors and really adore the tangy spicy pickled fruits and vegetables that are a staple in India. They don’t have cranberries there but if they did I’m sure they would use them for pickles. 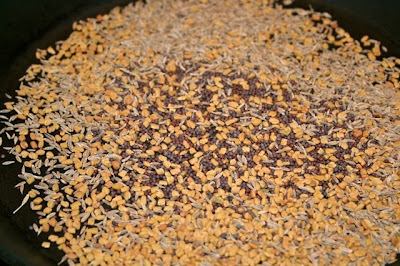 My pickle started with a tablespoon of fenugreek, cumin and a teaspoon of mustard seeds. These were dry roasted in a hot pan and then ground up. 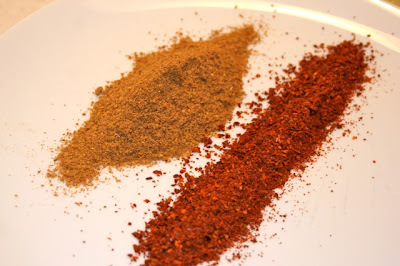 Here you can see the ground spices and red chili flakes. 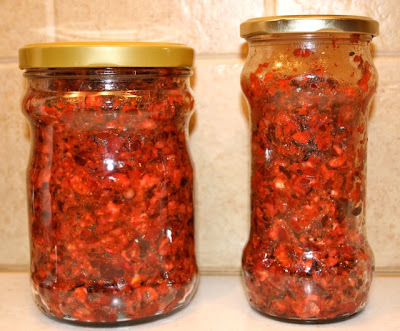 I used Korean red chili pepper since that is what I had on hand. The next step was to coarsely chop the cranberries. A few pulses in the food processor does a wonderful job. To make the pickle I heated a couple tablespoons of oil in a pan and popped some mustard seeds in the oil. I added a pinch of tumeric and a teaspoon of hing (asafoetida). 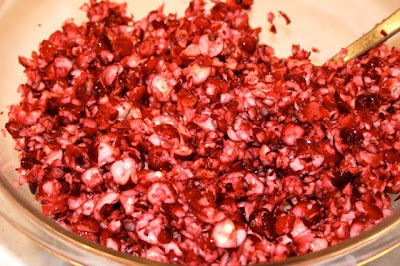 The oil was allowed to cool and then all the ingredients were mixed with the chopped cranberries. I also added a bit of lemon juice for some added tang. I jarred them up and put them in the fridge. After a few days these will be tasting great. This pickle looks absolutely gorgeous when mixed with hot steaming rice. 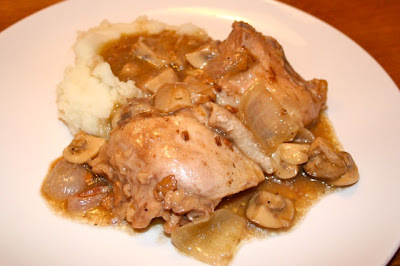 Nothing says comfort food better than coq au vin. And no time is better for comfort food than the night before Christmas. 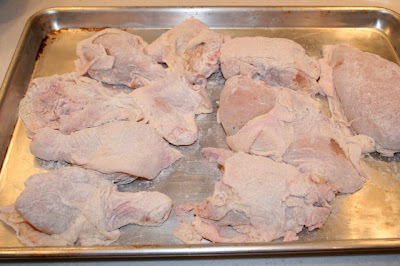 I took one whole chicken and butchered it up into pieces. These were lightly dredged with seasoned flour. Into the pot I started with some bacon. Once the fat was rendered I tossed in a whole head of garlic. 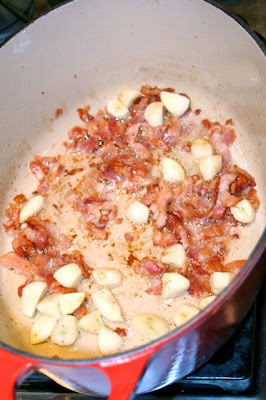 The garlic was removed and some onions and mushrooms were sautéed in the pot with the bacon fat. The mushrooms were removed. 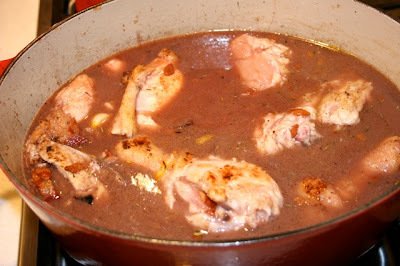 A bit of olive oil was added to the pot and the chicken pieces were browned on all sides. Then in went a cup of red wine. I used a nice Chianti for this one but a Pinot Noir would be great too. When the pan was deglazed I added two cups of chicken broth and some dried thyme. 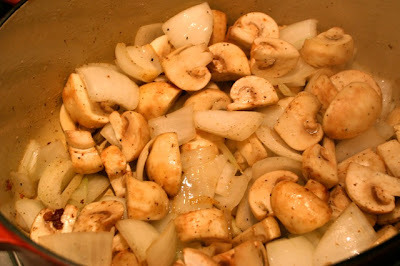 The chicken was stewed for about 15 minutes and then the bacon, garlic, mushrooms and onions were added back to the pot. This was stewed for another 15 minutes or so. The gravy was thickened with a bit of butter and flour and everything was served on a bed of mashed potatoes. YUMMY!